Please click on the links below to view our reviews and leave one of your own. It's easy if you already have an account just click on the appropriate box. I was referred to Asheville Computer Company by friends who felt very confident with their services. Aaron arrived promptly at the scheduled time and I found him to be outgoing and friendly. He really helped me out a lot, solved my problem and deleted many unneeded things. Additionally he was very open to answering any other questions that I had. When my printer stopped working, and I could not figure it out after hours of trying, I contacted Aaron with Asheville Computers. Within five minutes, seriously, he had diagnosed the problem and fixed. I will definitely be coming back anytime I need help with my computer, printer or other device. Aaron was so helpful, professional, and he fixed the problem! Ethan always does a great job answering my questions, and relating to my self-induced tech blunders. Does some solid work. I've spoken to Paul on the phone a few times, he's a friendly fellow! This company does an awesome job! They have 3 awesome people working there, Aaron, Ethan and Paul, and they will not disappoint you! They will diagnose your computer, they do drop offs, and on-sites. I am very impressed with this company and recommend it to anyone with a problem with their tech. I recommend Asheville Computers. Aaron was at our house successfully fixing some computer problems. He is professional and knowledgeable. Aaron does it all - assistance with hardware and software installation and maintenance, cloud backup, even iPhone setup and coordination. He is so pleasant and professional, and responds quickly to requests. I couldn't be more pleased with his services, and highly recommend him for home office and small business technology needs. FABULOUS EXPERIENCE & GREAT SERVICE!!! When it comes to PCs, I know just enough to get myself into trouble, so when my gaming desktop went down I contacted Aaron and his crew at Asheville Computer Company. I work at a business that values a good review, and ACC has outstanding reviews, which is what prompted me to contact them for my repairs. I must say that all the good reviews were reinforced by my experience with them. They not only have friendly, knowledgeable staff, but also go the extra mile to take care of the customer and have very reasonable rates. I will definitely use this company's services again in the future, should the need arise. I also recommend them very highly to anyone in search of a great source for computer repairs and services in general. Thanks guys and keep up the great work! Aaron did a great job of introducing us to Google wireless mesh system for networking our computers. Far better than any other system we have used and doubled out Internet speed right out of the box. I highly recommend Aaron, very friendly and personable. I am deeply grateful that Aaron Tracey of Asheville Computer Company took my panicked call on a recent Saturday morning. Aaron walked me through my computer's hard drive crash, met me later that afternoon to process my service, and has stayed in regular communication to make sure my computer is running smoothly. From the first call, Asheville Computer Company has gone above and beyond to ensure prompt repair work and exceptional customer service. I am incredibly impressed with Aaron and his team and plan on using Asheville Computer Company for all my future computing needs. I whole-heartedly recommend their service, professionalism, and excellent communication. Great and friendly service. Aaron solved a tricky software problem and saved me hours of frustration. I'll be calling again when my machine fails me. Thanks Aaron! My Apple laptop had somehow collected a piece of malware and my battery was failing. I called Aaron and he was able to make a house visit the very next day. He eliminated the malware immediately and ordered a new battery for the machine. The battery arrived the next day and Aaron came by almost immediately to install it. My machine has been working perfectly ever since. Aaron's charges were more than fair. Most importantly, he was both pleasant and respectful in his dealings with me. I couldn't ask for better service. I am well pleased with the service that Aaron provided to me today and I will recommend him to all my friends that need computer service , THANKS , John Ellis Sr.
Aaron from Asheville Computer Company came out on Friday afternoon and had my computer back with a new hard drive on Monday at noon. He knew exactly what I needed and was great to work with! The prices are more than reasonable and I couldn't ask for any better service. For anyone looking for trustworthy computer repair or advice Asheville Computer is the place to go! 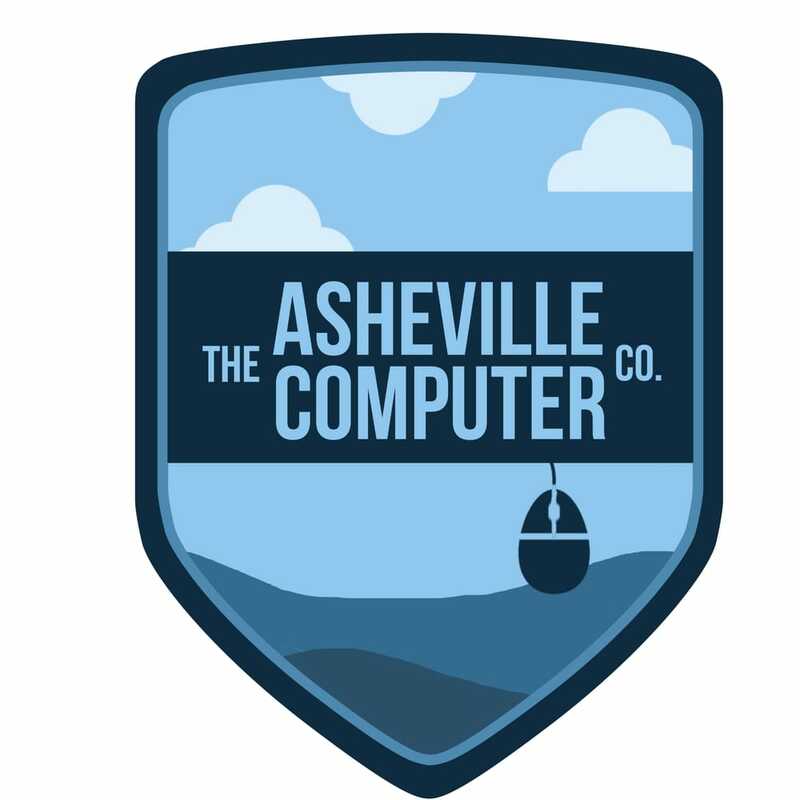 Asheville Computer Company is the absolute BEST place to go for all your computer issues! They were extremely kind, patient and very knowledgeable! They resolved our issues in an unbelievable timey manner and their prices are very reasonable. My daughter's brand new expensive gaming computer completely crashed, so we took it there late evening on a Wednesday and by 2pm the next day they called and said it was completely fixed and running better than ever. We were in complete awe about how fast they fixed it and how cheap it was, giving that they do such impeccable work! I love the fact that they offer you suggestions but they aren't pushy about them at all. It was a very comfortable and relieving experience. They are just beyond AMAZING people! Trust me when I say, DONT GO ANYWHERE ELSE!!! We will continue to use them and ONLY THEM for a lifetime! Aaron's the best! Extremely helpful, knowledgeable, responds to cries for help in a timely manner. He was able to resolve my issues remotely. Always a pleasure working with him. After literally a dozen calls with my PC's manufacturer to find the screws to attach a new battery, Aaron at Asheville Computer Company told me to just come on by. Ethan patiently worked through all their spare screws till he had found a match and attached the battery. No fuss, no charge, no stress. Friendly and competent service: what a relief. Thank you AVLCOMP!! Fantastic! How did I ever get by before discovering Aaron and his vast array of computer knowledge? What makes him special is that he is not a proverbial computer nerd. Instead, he has a great personality and is able to interact easily. I am delighted to recommend Asheville Computer time and time again. Aaron took my computer to the store to be upgraded. I was amazed that that could be accomplished in a day. He returned the computer, which is almost like new. I am very pleased with the results and would recommend The Asheville Computer Company. They were so helpful when our Imac died. They were upfront in saying given the age of the computer and the cost of the repairs it would be in our best interest to just get a new one that they could then transfer the files and programs over for a fraction of the cost. They even helped in suggesting what particular mac we should consider for the work we do. So glad I was referred to them. If there were a 6th star, this is how Asheville Computer Company would deserve to be rated. Not only will you get any problem solved in an amazing timely manner, Aaron will make you instantly forget about any frustration thanks to his high dedication, professionalism and constant positive attitude. Keep that great smile of yours! Thank you. Excellent customer service, very efficient, and knowledgeable. Aaron is friendly, honest and knows his stuff. We are new to the area and I needed help setting up my home office. He came over and completed it quickly and offered other helpful updates to make everything more efficient for me. I will be using his services frequently, so easy to work with! I highly recommend The Asheville Computer Company. I want to thank you for your help and your honesty. The tech at Apple confirmed your diagnosis. I was able to answer in the affirmative all the questions about what you had done. I also told him how you checked to see I had Apple care and advised me to have Apple do the repair rather than take advantage of me for $600. He told me CityMac would have taken advantage of me. He was so impressed that he took the information about your buisness and told me he would be passing it on to those who wanted Apple repair in the Asheville area. Aaron is a great person to deal with. I had several issues with my computer over the last couple of years and went to Aaron for each problem. He diagnosed and corrected the problems quickly and reasonably. I also have called him on a few issues/questions regarding things I didn't understand and he helped me while showing a lot of patience (which I appreciate). I would not consider taking my PC anywhere else. I panicked when my college son informed me that his laptop had stopped working and he could not pull up his Doctoral papers. (Two years worth of work!) We took the computer to the Asheville Computer Company. They were very professional and confident that all was not lost. They diagnosed the problem and had the information from the computer back to me within a day. The pricing was very reasonable. I would definitely recommend this company to anyone having a problem with their computer. Recently had to go through the daunting process of buying and setting up a new computer for the office. Asheville computer company made the whole process so easy. Aaron is a personable young man with a lot of knowledge and confidence and he took care of everything for me. They set up the new computer transferred everything over told me what was what and how things worked which was very slightly different but not a big deal. He continues to be available after weeks have gone by for questions and concerns ... which there have been relatively few. Highly recommended! Aaron Tracy was kind enough to return my phone message about my computer problem, and give me constructive advice by phone. He is knowledgeable and courteous. I will take my future computer issues to him at Asheville Computer Company. Aaron has been a jewel. He knows what he is doing and in know time can take care of the problem w/my computer and printer. TY Aaron. Life savers!! I got scammed by Belkin tech support and they quickly and efficiently removed viruses and got my laptop back to me good as new! Super impressed and eternally grateful to them to helping me. I was a worried mess and I left feeling so relieved. Thank you Asheville Computers!! What can I say. I messed with this system for two days. Aaron diagnosed the issue within an hour, took the BAD machine to his office and fixed it in a couple of days ( weekend). Cost was very reasonable and It is now 100% operational. This is the second great job he has done for me. I highly recommend this company. As a web/graphic designer, it is very important that my computers are up-to-date, and work at the highest performance. Finally there's a computer repair shop in Western North Carolina that I can count on to help me achieve that goal. It is taken me 10 years to find a computer repair shop I can trust with needed repairs, upgrades, and accessory consulting. The Asheville Computer Company considers all the needs of each customer. This is no surprise when you wittiness their top notch technicians and customer service at work. If you're reading this review please take a vantage of the services The Asheville Computer Company provide. Aaron was very helpful with my computer problem. He came the day after I called him he was also on time. He gave me a lot of information that I needed to be aware of. I will recommend him to any one. His work is also the best. Thanks, Aaron. Great service & reasonable prices. We have used Aaron/Asheville Computer Company several times now and we are completely satisfied with the work done. We would highly recommend Asheville Computer to anyone looking for quality work. Asheville Computer has consistently exceeded all of my expectations for service and honesty. Unlike the "geeky" service place, Aaron is willing to work WITH a customer to both help the customer and SAVE money. Asheville Computer has recently saved me hundreds of dollars in repairs and replacements because, unlike other stores, Aaron takes time to explain options, and he's willing to think "out of the box". I strongly recommend that anyone needing the services of a friendly, competent, and caring computer repair service call on Asheville Computer. Aaron is everything I could hope for in a computer specialist. 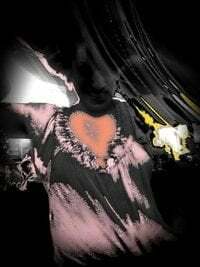 He is highly knowledgeable, punctual, reliable, committed, patient, and has great people skills. He addresses all of my computer issues and questions with ease. When I pick up the phone to call him, I breathe a huge sigh of relief. He rescues my mental health as well as the internal health of my computer. I'm amazed at the wealth of his knowledge and ability to trouble shoot. Call him! Asheville Computer Company - super job on all of our business and home projects. On time, professional, patient... really listens to our questions so we can learn how to operate all of our equipment, advanced knowledge to select the best new products and timely installation. We have tried several local companies and absolutely no one compares to Asheville Computer Co.
Aaron was so gracious and saw me as a walk in on a day that he would normally take appointments only. The issue was just with the wifi adapter, which had been turned off, and he fixed it quickly and didn't even charge me! Very personable and knowledgeable. Thanks Aaron! Aaron and his team listen to every issue and concern about my computers. They have helped me personally and with my business. I always feel like they have my best interest in mind. They are fast and extremely dedicated to their work. I recommend them highly. Great people. Needed some help setting up my business and all I had to do was walk in. Aaron took care of the rest. Hassle free and I've had questions after the fact no issues getting help. Thank you!! They were very quick to respond and made a house call. They solved all of the issues with my Mac. I was very pleased with the service. I needed help transferring some files from a sick laptop, a simple project for a techie, but important and worrisome for me. Aaron responded quickly and with understanding. He communicated well, did a quick job on those files, made helpful suggestions, was patient with my questions, and was great to work with. I recommend his services and easy-to-access shop in Asheville, for sure. Thanks Aaron! Aaron has always proven to be reliable and trustworthy for our computer related issues for repair and information. When we have problems in office he comes over in a timely manner to help us resolve our issues. First class service in every aspect. Aaron solved my problems in a quick, easy to understand and very efficient manner. I would definitely go back to him if I need help again. Transferred all files onto a new notebook and checked existing machine for issues and resolved the problem overnight. Very efficient and pleasant service at a reasonable price. A wonderful asset to have in South Asheville. Great service and very fast response time. Aaron is now my go-to guy for computer repairs. © 2010-2016 Asheville Computer Company. All rights reserved.